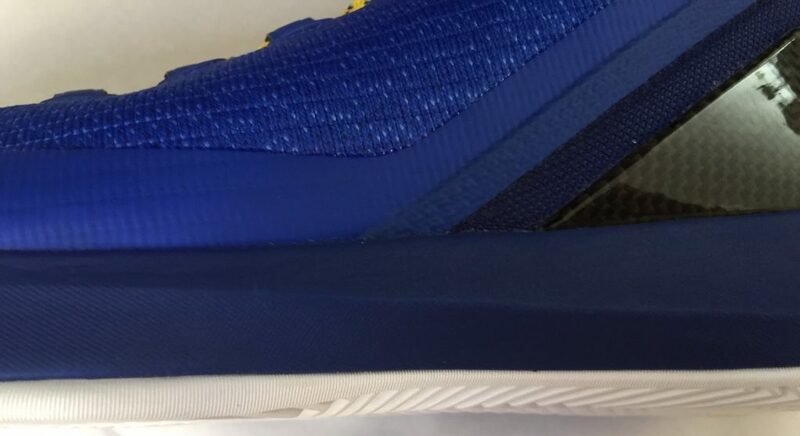 After the Warriors blew a 3-1 lead in last season’s Finals, Under Armour and Curry’s shoes have cooled off considerably. Winning begets popularity and losing in historical fashion does exactly the opposite. Can the Curry 3 “make it old” as Steph and the Warriors look to regain that championship crown again? 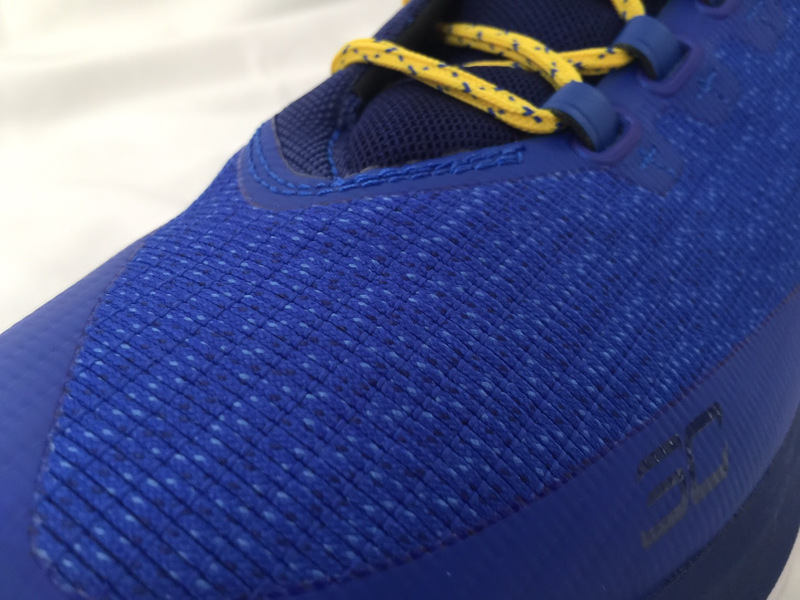 The traction pattern is full-length herringbone with a pivot point at the forefoot. 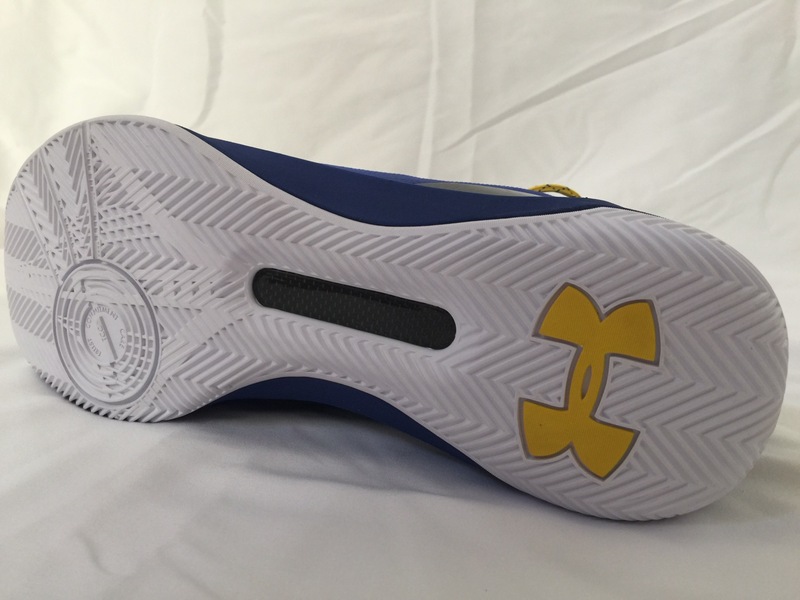 Under Armour would have done well to not alter the outsole from the Curry 2’s lofty standard. It was one of the best traction patterns from last year’s crop of shoes. The Curry 3’s pattern works well enough on clean and dusty floors, but it doesn’t match its predecessor’s overall performance. Charged remains a mainstay in the Curry series, with slight modifications. This iteration of Charged feels slightly softer in the heel, but overall still has a firm feel. Some players, such as Curry himself, enjoy the firmness in the front since it doesn’t compress too much and allows for quick responsiveness when changing directions. Although there are better cushioning options out there, Charged does a good job absorbing impact without feeling like a marshmallow. It’s also fairly low profile, leaving the foot well oriented with the floor. Of course, some players do not enjoy the firmness, so if you like a more plush, bouncy ride, I suggest looking elsewhere. I went true to size with my normal size 11 in the Curry 3 and these fit me perfectly length and width wise. I prefer a finger width of space from my longest toe to the end of the toe box and that’s exactly what I got with the Curry 3. I had minimal dead space above my forefoot and no space at all side to side. Wide and most regular width feet should go true to size, but narrow footers and regular width footers who want a tighter fit might want to go a half size down. When freshly laced, the fit was excellent from heel to toe, but during play I had to re-tie the shoes frequently because the top eyelets don’t wrap around the ankle. This caused the laces to take the brunt of the force from my ankles and calves. 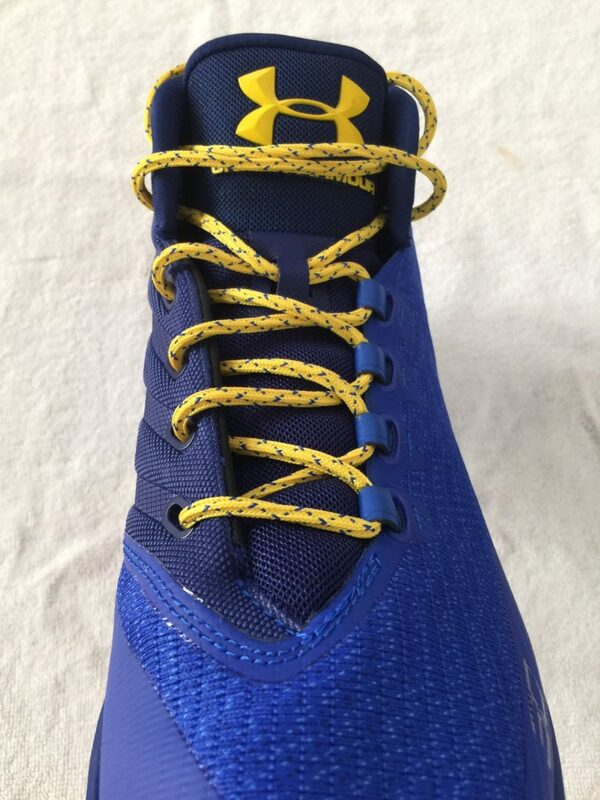 I experimented with different laces but ultimately found that a lace lock worked best in keeping the laces tight. If I could have kept the laces locked in the entire time, I would have loved the fit. Threadborne is Under Armour’s textile upper made up of high tensile threads that come together to provide flexibility and strength. While it is neither ultra soft nor stretchy like adidas Primeknit or Nike Flyknit, it requires almost no break-in time and does not pinch or have hot spots, while providing decent breathability. On high-wear areas, Under Armour added laters of fused material to provide extra protection for increased durability. Anafoam covers the medial side as well as the entire ankle collar and forms nicely to the foot and ankle. The Anafoam (for the uninitiated, it resembles Nike’s Foamposite material) does take a little time to meld to the foot, but after a few runs, it will start to feel less stiff. Overall, the materials on the Curry 3 strike a nice balance of comfort and performance. Under Armour calls it the Dynamic Midsole Frame, the molded high-density foam heel piece that cups the back of the foot for containment. This works synonymously with the two carbon fiber wings that come up on the medial and lateral side of the foot to help cup the foot. While the system looks bulky in the rear, it does do an excellent job. It takes a little getting used to it, but after a few wears, you start feeling like your ankles were propped up perfectly straight by the frame with no slippage or movement from midfoot to heel—a key point for someone like Curry, who has suffered from his share of ankle ailments in the beginning of his career. In general, shoes without any physical barriers at the forefoot give me pause because my foot can slide off the footbed on hard cuts. However, the combination of the Dynamic Midsole Frame and strength of the Threadborne upper kept my foot in place on hard cuts and changes of direction. 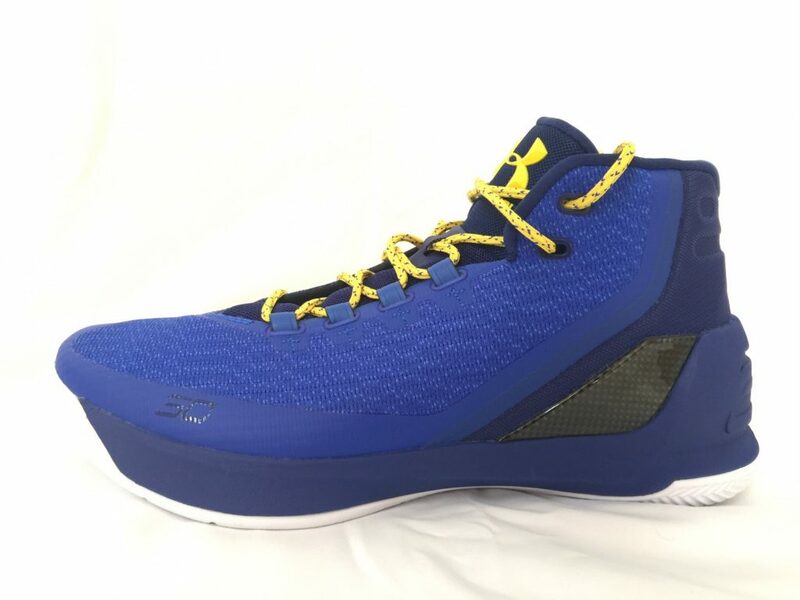 Although the Curry 3 isn’t quite as stable as the Curry 2, it provides stability with a contoured forefoot outsole that acts like an outrigger while the heel sits flat on the ground. The Curry 2 set the bar high last year and the Curry 3 almost meets it. The Curry 3 does everything well but the lace-loosening issues frustrated me, as I had a hard time keeping the laces tied throughout a 40-minute game. Break-in time helped the lacing issue, but it never completely went away for me. The shining star of the Curry 3 has to be the foot lockdown. The Dynamic Midsole Frame keeps the foot propped up even during the hardest of cuts. The Curry 3 improves on the materials, while tweaking the cushioning, as well as a smoother heel to toe transition. 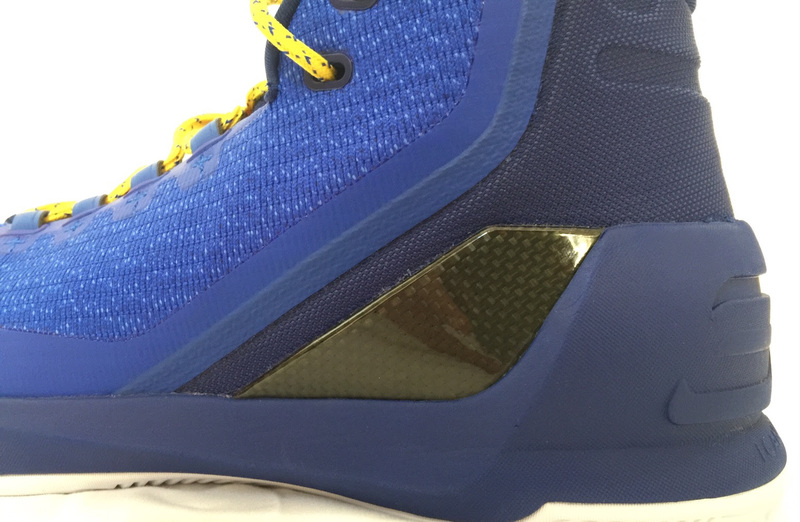 If those were some of the improvements you were seeking from the Curry 2, you’re a candidate for the Curry 3.